images that dazzle in even the brightest daylight. See Tabs above for samples per industry. Moving images enhancing the look and feel of the brand and products. 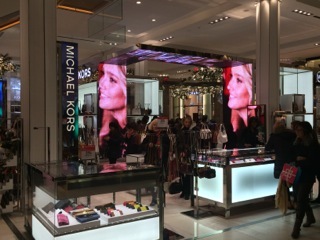 The flexibility of LED video panels allow for creative shapes and designs that fits the store design. Think video sculptures, spheres, ribbons, floors, ceiling, entranceways, staircases etc. 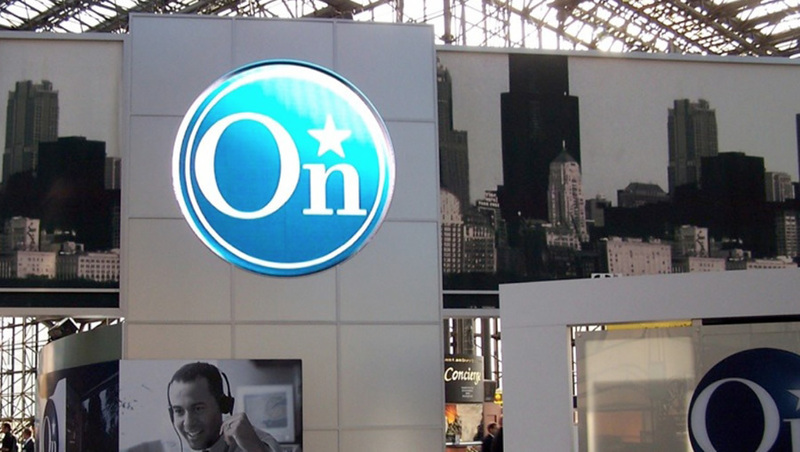 Leveraging the brand media created inside the store or creating and atmosphere with video imagery that fits the brand or have customers interact with it. 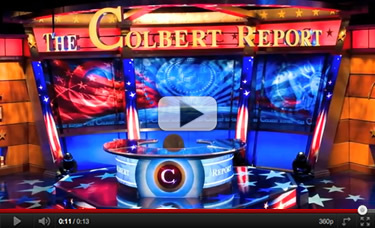 Video plays an integral part of telling the stories they are broadcasting about. 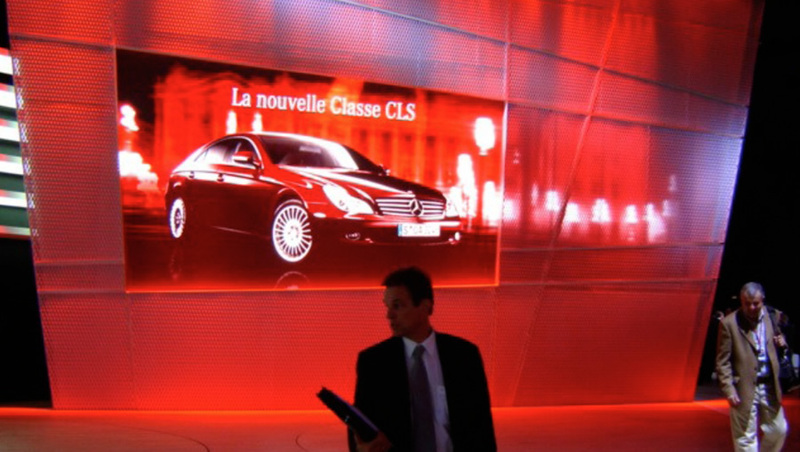 High resolution displays with high refresh rates avoiding moiré and clear messaging low resolution behind diffusion offer creative imagery, and high brightness pixels on a string offer great efficient and long lasting solutions. High brightness RGBW pixels on a string behind acrylic diffusers at custom spacing – creating smooth color transitions and mood changers. 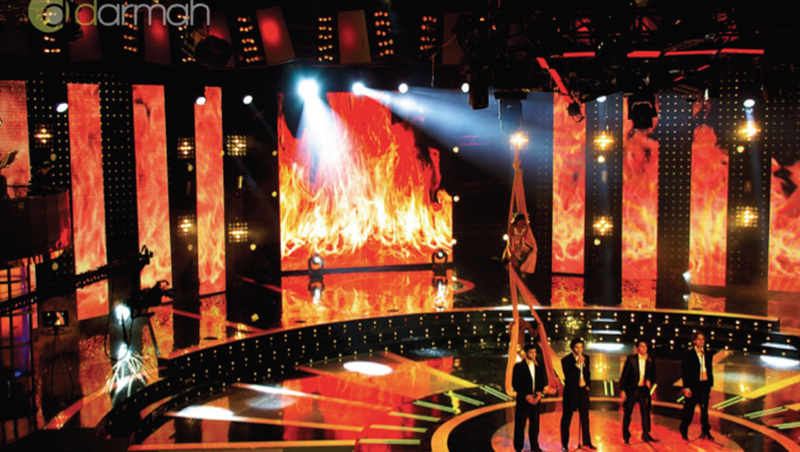 Banners of Pixled F-11 and F-30 combined for a TV Show in Mexico. 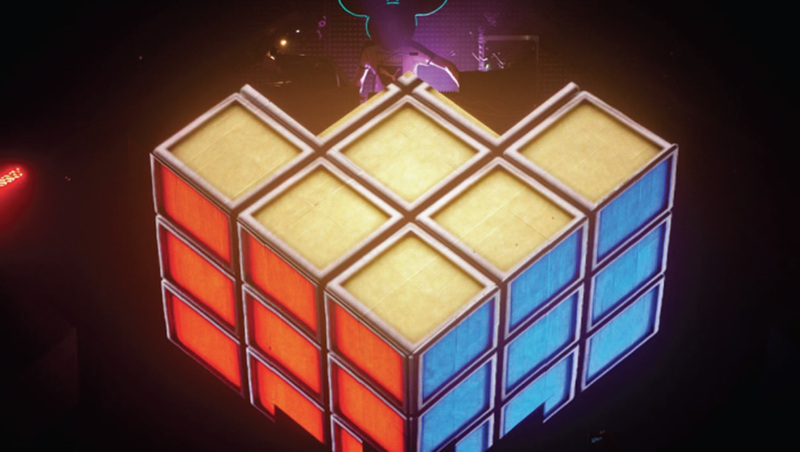 LED blocks integrated in a custom structure behind acrylic diffuser for creative effects. 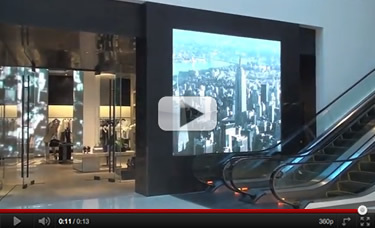 Communicating corporate messages, branding, interactivity and statistics via video walls in different freeform shapes, behind creative diffusing products like glass, fabric, metal mesh, and acrylic. Fitting designs in new and old spaces blending technology in a tasteful manner and managing bright daylight conditions. 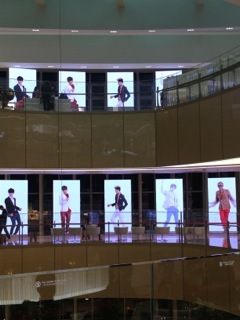 High resolution LED combined with low resolution behind diffuser creating efficient solution for messaging and mood imagery. 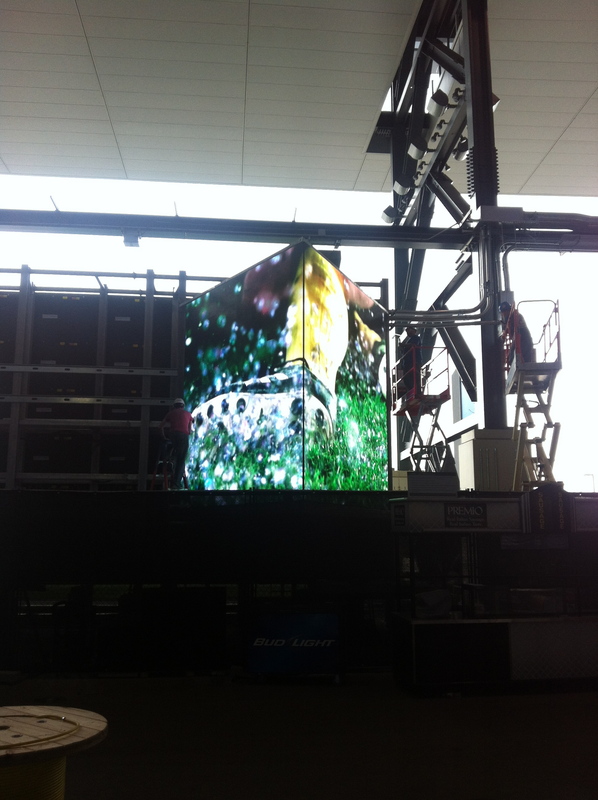 Atrium with high resolution vertical display integrated with low resolution led behind textured fabric. 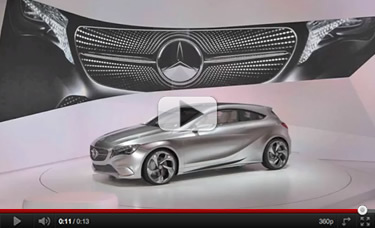 High resolution display as a large backdrop showing product details. 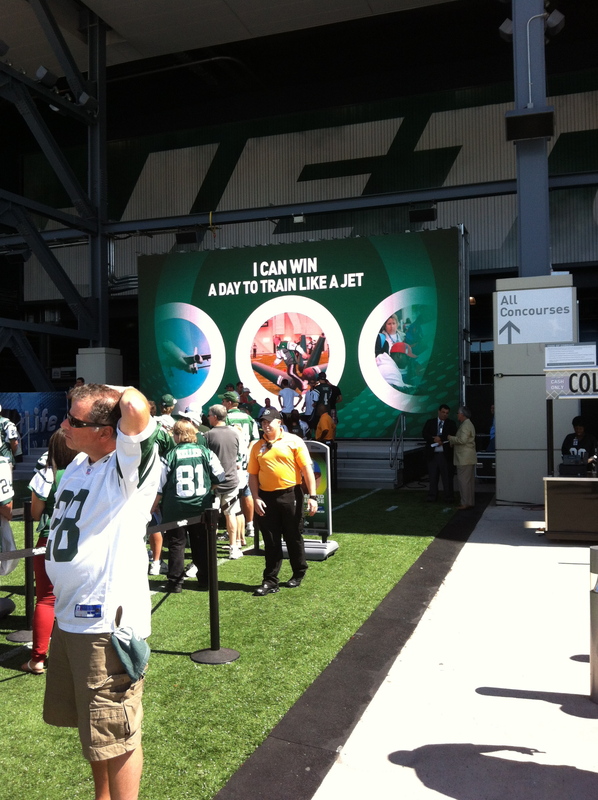 Video displays as way finding, messaging and atmosphere creators all in one. More out of the box designs, efficient solutions wrapped around corners, freeform shapes running through various spaces, hanging as modern chandeliers, fitting tastefully in tight places, visible in bright daylight spaces. 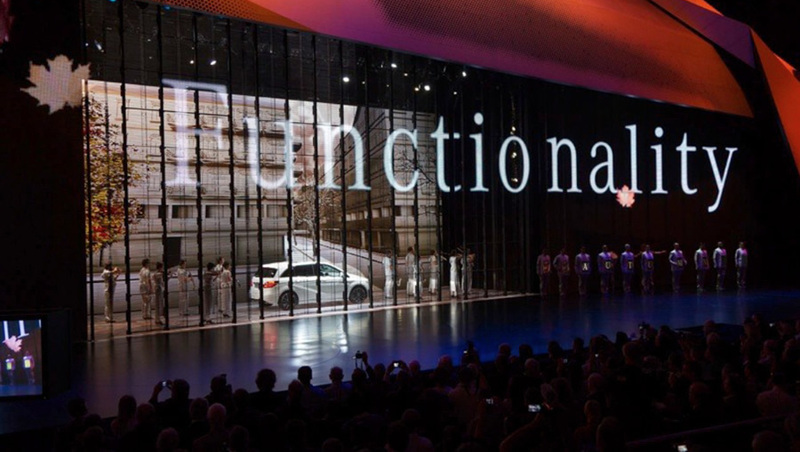 LED panels mounted on a custom curving structure – guiding guests into a conference center. High resolution LED integrated in a custom mesh structure where parts functions as a diffuser. 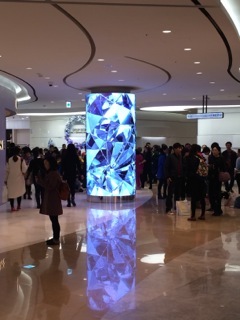 High resolution LED integrated in a column and masked to create a circle design. 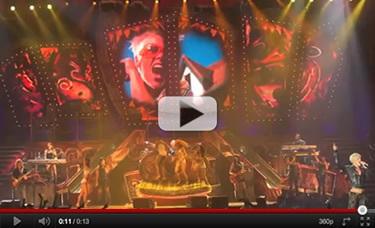 Video is more and more integrated in the stage set and part of the entertainment. 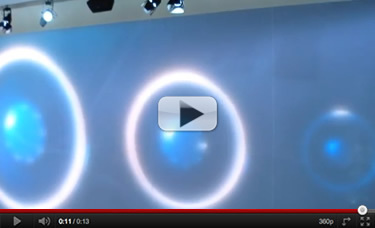 LED with its lightweight, no need for throw distances, and creative possibilities of LED allows for interesting angles, unique curves, cubes, ribbons, spheres and moving displays. 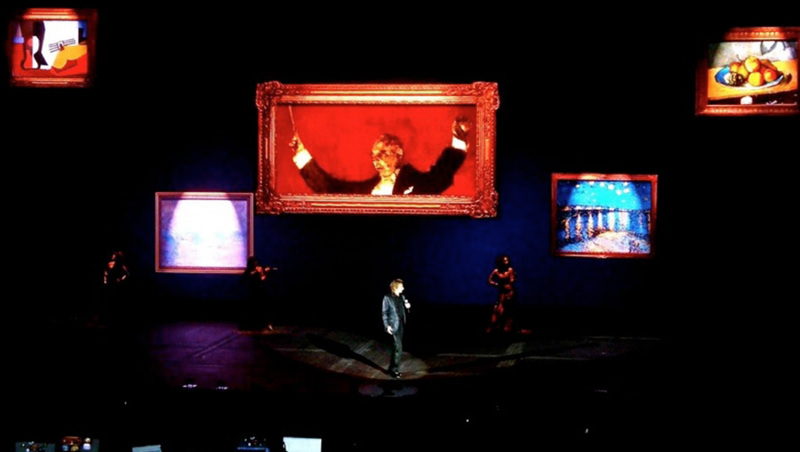 High-resolution panels creating various moving displays creating a new stage look per show section. 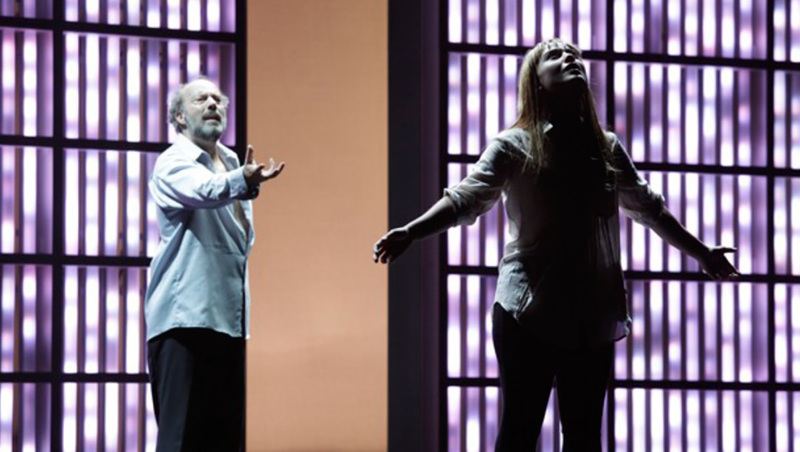 Low resolution LED strips behind diffuser creating an opera set to be modernized and create an efficient ever changing set piece with video. 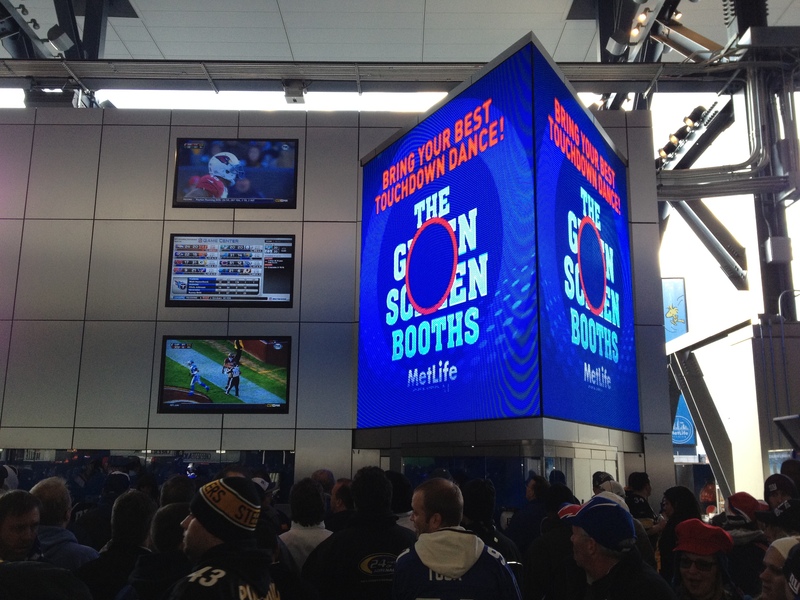 LED video is obviously a great medium to enhance experiences and engage visitors interactively. 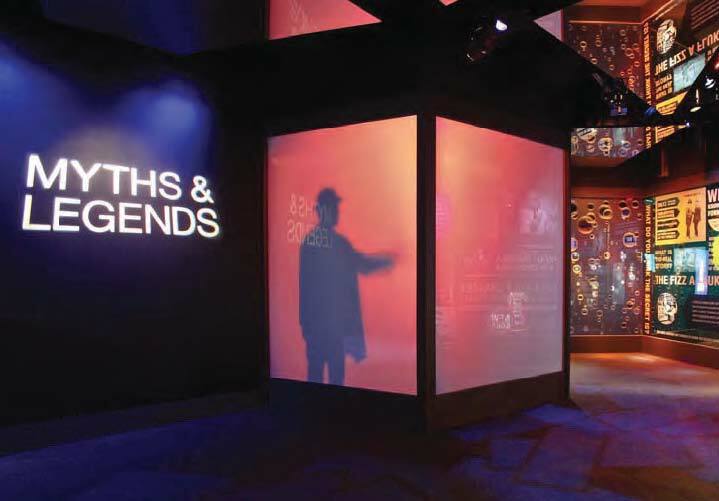 Create designs that align with the Museum themes, shapes that mimic exhibits, and use resolutions that fit the budgets. 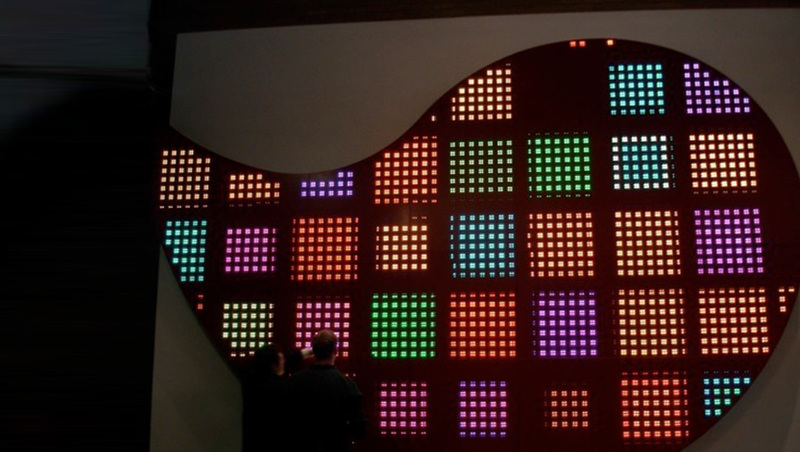 Freeform design by Luce Group, integrating pixel blocks into a metal structure with a red metal face. 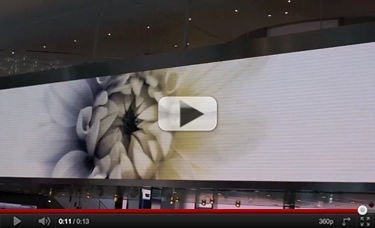 Low resolution Pixel blocks integrated into custom spaced and curving troughs with acrylic diffusers in front combined with a high resolution display in front. 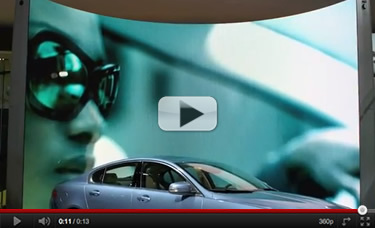 Video integrated into fixture like designs and as part of the interior, subtle integration of low resolution behind unique diffuser, fabrics offers a special mood and messaging effect. 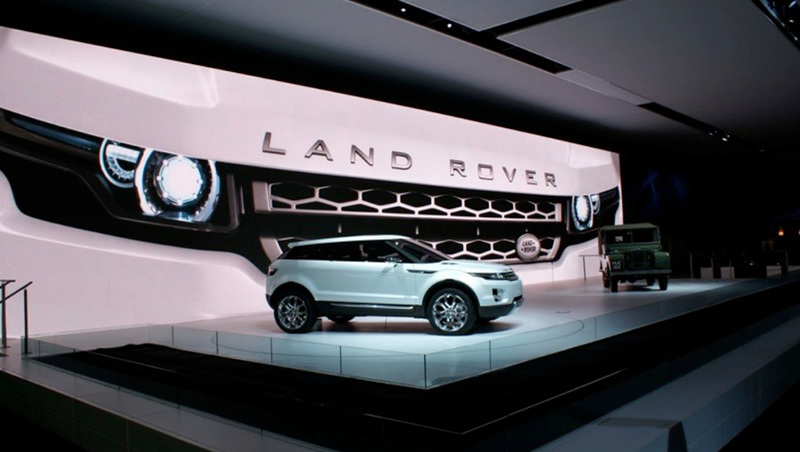 High resolution displays integrated with different shapes and forms that offer clear and great images when running video but subtly blending with the interior when off. 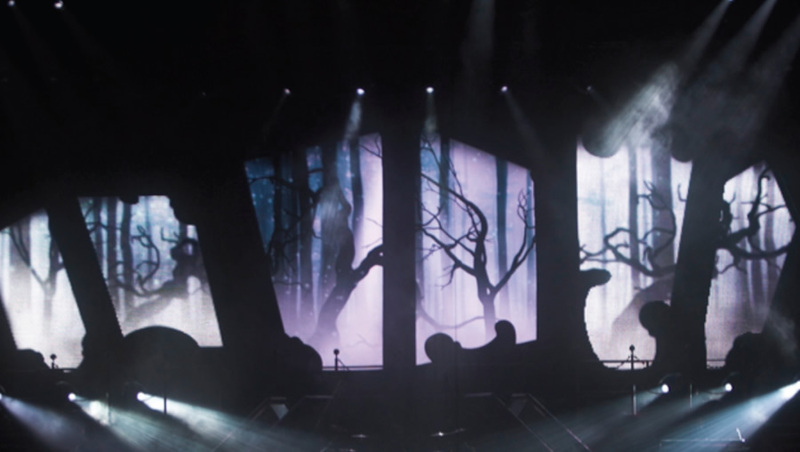 Two high resolution center displays flanked with low resolution side displays creating a mystical wall by way of masking the displays into creative forms. Custom 3 dimensional cube design with an 11mm resolution. 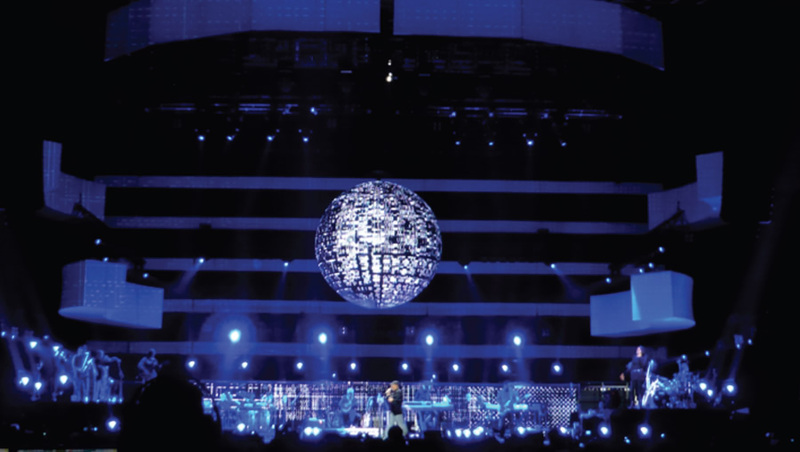 Discoball populated with pixels on a string combined with mirrors to create both lighting, special and video effect. LED displays and sport seem completely intertwined; video brings the large audiences closer to the games, more intimate and involved. 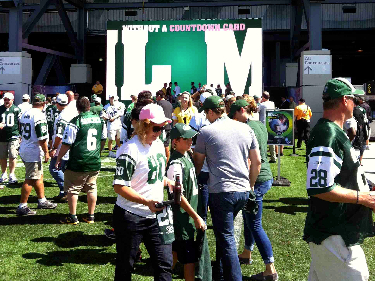 Major sports stadiums have been the lead in integrating video, but the high demand of LED resulted in drastically lower prices and has made video displays more affordable for all sport venues, not just the Big Leagues. LED's modularity gives way for flexible designs, various size options, and out of the box configurations. The technology has become easier to manage, remote access is possible for new video uploads, multiple layers for different feeds, including live footage and of course interactive features. Lifetime - LED last somewhere between 50,000 - 100,000 hours, which translates to 6 - 11 years if used 24/7. 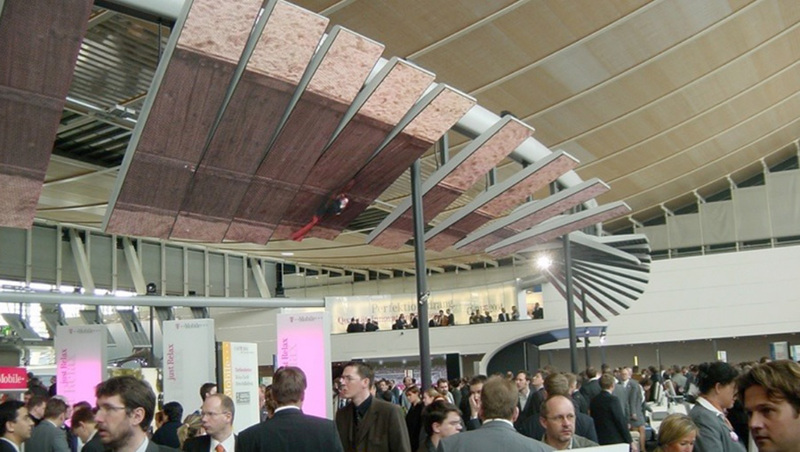 Brightness - LEDs can be made with real high brightness, therefore useable in bright daylight conditions. Brightness can be as low a 600 nit/cd m2, are typically around 2000nits and go up to 6000+ nit for real bright conditions. Lightweight - The technology allows for thin products therefore useable in more places and spaces; no throw distances to worry about and easy to handle. 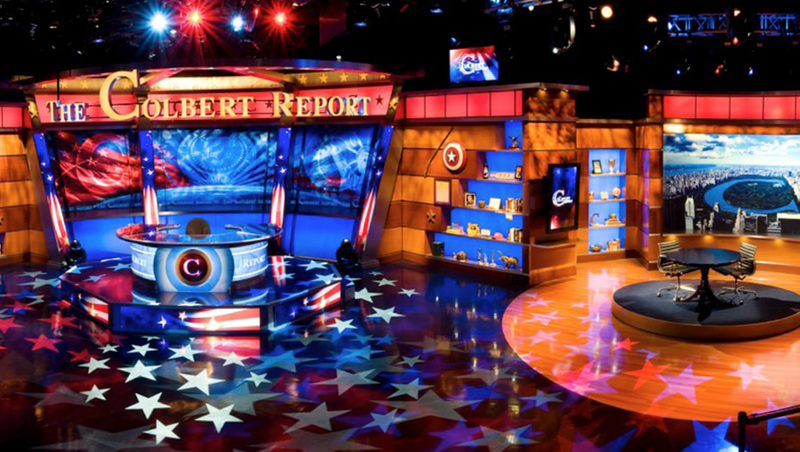 Creative - LED Video walls are not tied to a set dimension they allow for creative and freeform video displays other than your standard rectangular display. 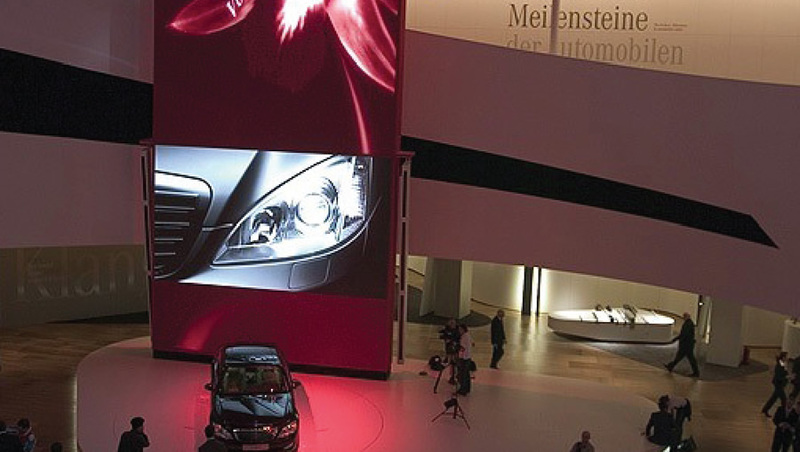 Efficiency - LED video panels are becoming very efficient with lower power consumption. Contrast - The new Black Chip SMD’s - diodes packaged in “black sillicone” offers more color contrasts and true blacks. Colors - By means of calibration the color uniformity can be maintained very well over the years. Maintenance - rather than replacing the whole panel just a diode or IM can be replaced. With this LED Technology we have and can adapt products and create installation mechanics to achieve our customer’s dreams in creative ways and places. 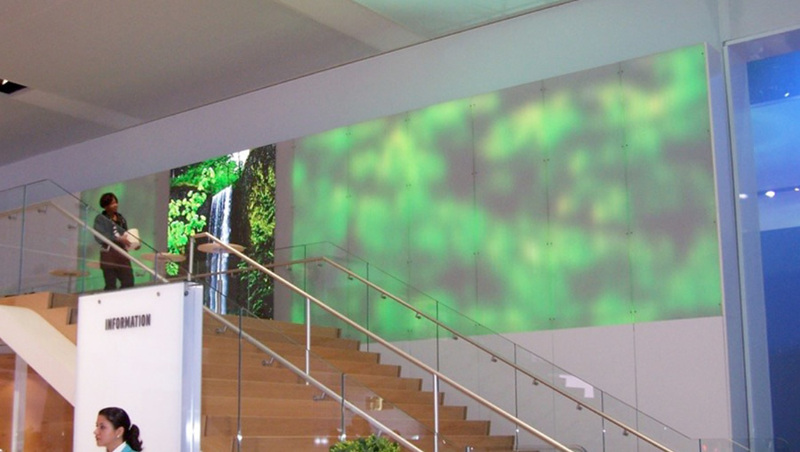 Our clients depend on us to get complicated configurations right the first time, prepare all projects with great detail resulting in images that dazzle in even the brightest daylight. 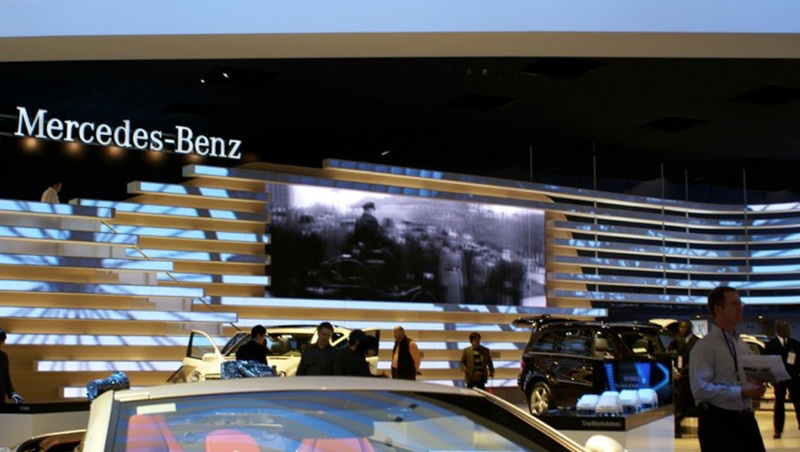 IC’s displays have become the centerpiece of some of the world’s most exciting architectural installations like projects for Dow Jones, Clinique and DK, Corporations like Horizon Media, Mercedes Benz, ESPN, Paris Theatre, etcetera.